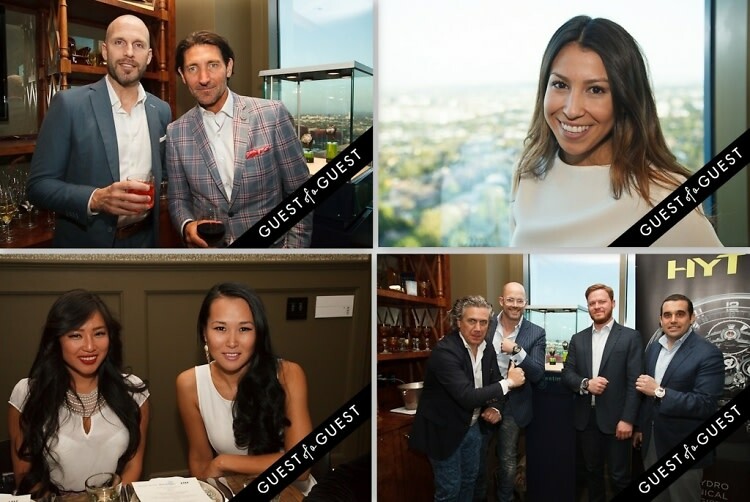 On Tuesday, May 13, Haute Living and Westime hosted the HYT Novelties From Baselworld event in West Hollywood. Guests enjoyed dinner and learned about HYT watches from the creator and CEO Vincent Perriard, who was in town from Geneva. Guests had the opportunity to check out never-before-seen watches from Baselworld, launched last month in Switzerland and not yet available to the public. Pieces ranged from $45,000 to $175,000 as they are the first watches ever produced with liquid movement. The night's attendees included Josh Altman from the Bravo show Millionaire Listing; Nicolas Bijan, owner of Bijan; Seth Semilof, publisher of Haute Living; Greg Simonian, President of Westime; Jeff Hyland, owner of Hilton & Hyland; Henrik Fisker, Creator of Fisker Auto; Rob Weiss, creator of Entourage. Go HERE for more photos of the event by Alexander Plank, and tag yourself and your friends!